Cowboy Outfitters Chisholms Trail Leather has a resume. How many leather businesses offer you that?� We are the who and what of our company and we’re proud of building this unique craft for customers just like you.� We are cowboy outfitters.� We make the gear cowboys need and use.� Our gear is tough, crafted for tough use.� Our leather is thicker, our finishes more resistant, our craftsmanship sheer artistry. Chisholms Trail Leather is proud to call themselves Cowboy Outfitters. We make the gear serious cowboys need to do a day's work, even in the movies. Click the above image to download a resume PDF. Cowboy Outfitters, Chisholm’s Trail Leather has been doing this for a while. Alan & Donna Soellner started this decades ago in their garage in Alabama.� Since then, they have decided to keep it a family owned, family-run and family-made business.� There are no hired help people with lesser skills to interfere with the skilled craftsmanship every Chisholm’s Trail Leather items receives.� We are cowboy outfitters.� Our gear is crafted in America by Americans and available to the world.� We are one of the few leather companies in the world that can legitimately called themselves cowboy outfitters.� Why?� Even Hollywod moviemakers call on us to custom craft our Old West cowboy holsters, western belts, spur straps and other outfitting gear.� Why?� Because what we make is authentic.� Compare what we make with what you see in museums behind glass.� Ours looks about the same, just without the wear and tear.� Why?� Because we’ve been to just about every Old West museum there in within the continental United States and carefully researched our belts, holsters and other cowboy outfitters gear. Cowboy oufitters like Chisholms Trail Leather go to the source. 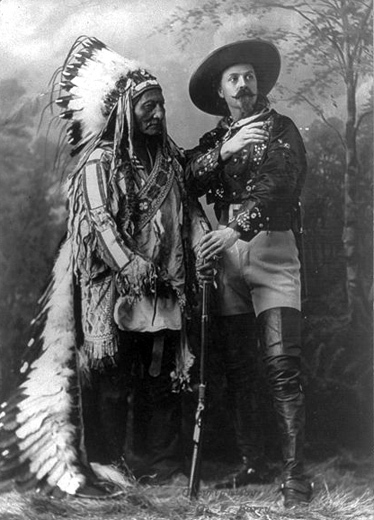 The real Old West.� Sitting Bull & Buffalo Bill 1885.� (C)Copyright 1890-1900 US Library of Congress, declared in the Public Domain by the US Government. 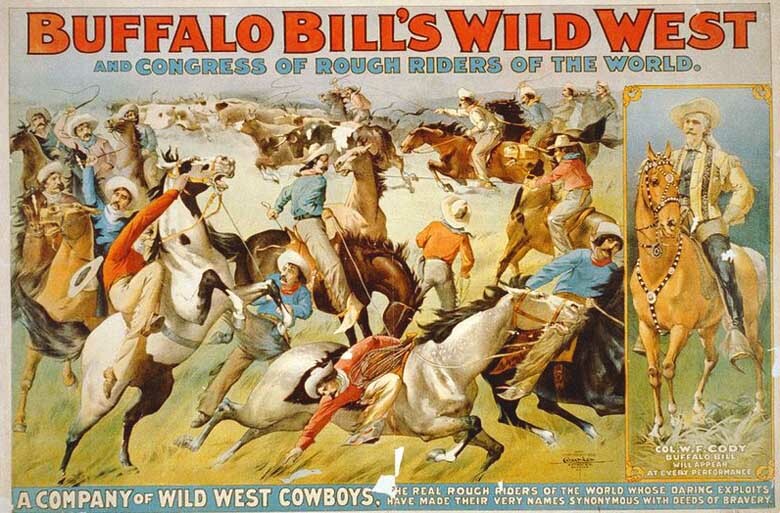 Social media tags:� cowboy outfitters, custom leather belts, western leather holsters,�old west holsters.